DreamWorks is in the mood of releasing new promotional materials. After Kung Fu Panda 2's new poster and trailer, another animated film from the same studio releases its first poster and teaser trailer. it is none other than the Shrek spin-off Puss in Boots. I'm really curious how will this movie work out. 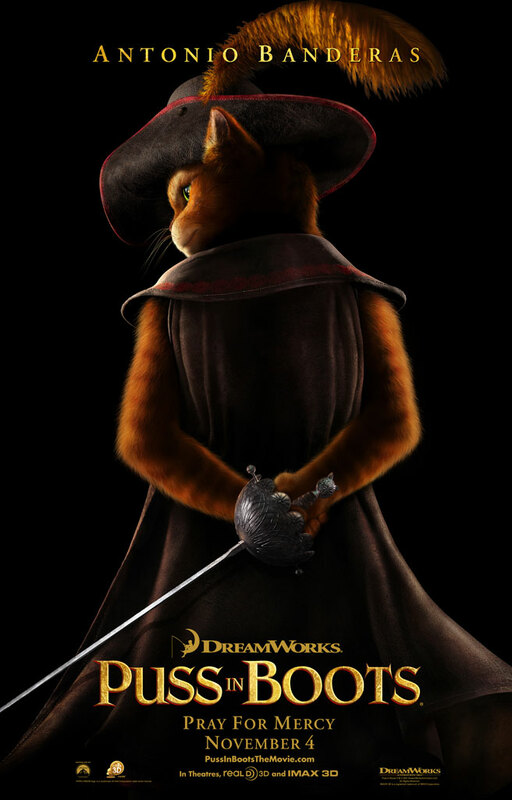 With the success of Shrek, I'm expecting that Puss in Boots will do the same without being just a big spoof of Zorro. Featuring the voices of Salma Hayek, Zach Galifianakis, Billy Bob Thornton, Amy Sedaris and Antonio Banderas as Puss in Boots. Set to premiere in coming November from DreamWorks Animation distributed by United International Pictures Philippines and Solar Entertainment.